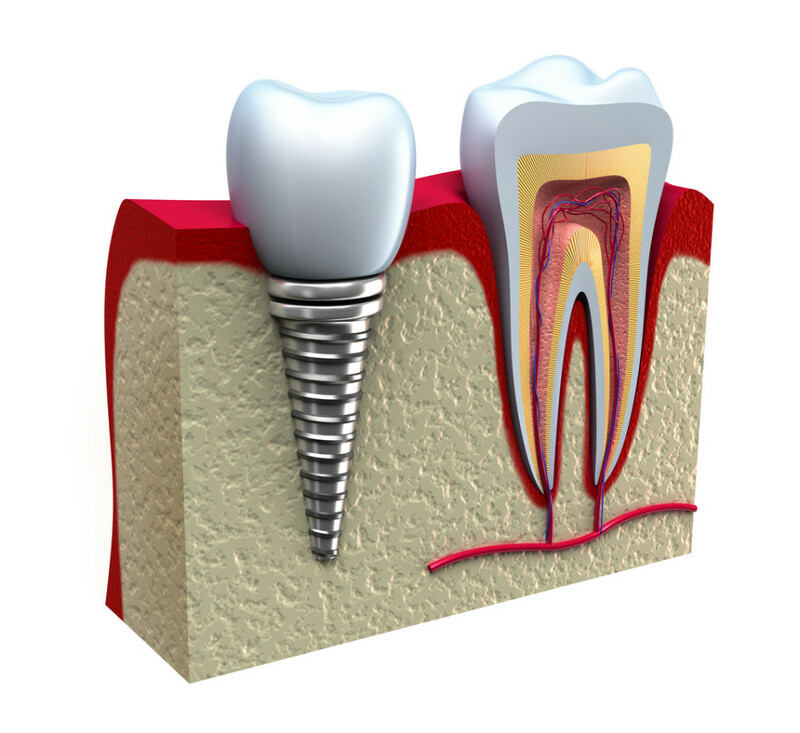 Unlike other forms of replacement teeth, dental implants are small metal or ceramic devices not unlike a screw fitting which are inserted into the jaw during surgery. Teeth, in the form of a crown, bridge, or denture, are then attached to the implant. Your dentist should tell you about the stages of treatment, who would be carrying out each stage and the timetable from completing treatment. You might be referred to a specialist. Bone is exposed in the jaw where the tooth is missing. Then a hole is drilled and the implant is inserted into the bone. This is usually done under Local anaesthetic, but sometimes sedation or general anaesthetic is necessary. The gum is then stitched over the implant and it’s left to heal for several months. This allows bone to grow around the implant and to make it secure. 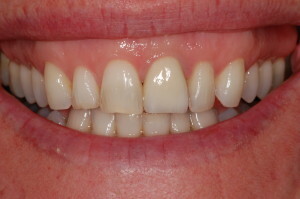 A second procedure is then planned, in which replacement teeth are mounted onto the implant. Once the soft tissues have healed, the replacement teeth may be fixed permanently or attached in a way that lets you remove them for cleaning. 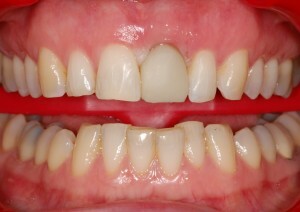 The replacement teeth might be single or group. Some people have real difficultly with removable dentures. Implants can overcome these difficulties, in particular for eating and speaking properly and they may improve appearance. If a denture is necessary, implants can greatly improve stability. People will not be able to see that your teeth are supported by implants.